Kona Coffee is a world-renowned coffee that is exclusively grown on the slopes of two volcanoes on the Big Island. The porous and mineral rich volcanic soil combined with the often sunny mornings but cloudy or rainy afternoons, little wind, and mild nights give coffee from the Big Island a unique taste. Our Kona Coffee guide walks you through the history of coffee on Hawai’i. We try to explain why Kona Coffee is so tasty (and expensive) and also introduce you to a few other very good coffees from the Big Island. The first attempt to grow coffee in Hawai’i is credited to the horticultural experimenter don Francisco de Paula Marin. Marin introduced numerous plant species to the Hawaiian Islands but failed to do so for coffee plants in 1817. Samuel Ruggles succeeded in bringing coffee to Hawaii in 1828. During the subsequent 150 years coffee took the proverbial backseat to the sugar industry and has known many ups and downs. Only in the last few decades sugar has all but disappeared from the Hawaiian islands and (Kona) coffee is stronger than ever! 1817: Don Francisco de Paula Marin brings the first coffee seedlings to Hawai’i, but the plants perish. 1828 – 1860: Samuel Ruggles plants the first coffee in Kona (1928). More and more coffee plantations open in the following decades, but in the 1850’s hard times begin due to lack of labor, bad weather, and pests. In 1860, coffee is all but gone from the Hawaiian islands. 1899: A severe drop in coffee prices again almost causing coffee to disappear from the islands. 1917-1918: World War I sharply increases the domestic demand for coffee, and a frost in Brazil destroys its coffee crops and causes a world shortage in coffee. Things are looking up again for coffee in Hawai’i. 1929: Start of the Great Depression. Coffee prices plummet. In the decade after debts continue to rise and coffee prices continue to drop. Dark times for Kona Coffee (and for the rest of the USA). 1941-1953: Both army purchases of Coffee as the US enters WWII and steadily increasing coffee prices after the war is over help Coffee on Hawai’i recover. This is supported by another frost in Brazil (1953) which yet again causes a worldwide coffee shortage. The 1960s: Coffee is on the rise again in Hawai’i with record harvests. The tourism industry starts to compete with the coffee plantations for labor. The 1970s: Low prices, high costs and a shortage of labor bring on the last great demise of coffee in Hawai’i. The 1980s: Coffee prices pick up again in the mid-seventies, and a new crop of coffee farmers rises. Kona coffee is now considered as a “specialty coffee” and starts picking up more and more fans. 1991: The 10% Kona coffee blend statute (HRS 486-120.6) was introduced (full text). This law allows blended coffee that contains only 10% Kona coffee to be labeled as “10% Kona coffee”. 2: Why is Kona coffee so special? Kona Coffee is a specialty coffee. These coffees set themselves apart from “normal coffee” by their use of special beans, perfect growing conditions and special ways of processing the beans from plant to cup. All these things contribute to the taste of the final cup of coffee, and gives a flavor that can (and should!) be savored and enjoyed! In Hawaii, the Kona Coffee belt produces near-perfect growing conditions for a few coffee varieties. Lots of sunshine and temperatures around 70°F, but certainly not below 55°F. Altitude! How high a coffee plant grows has a large influence on the taste of its beans. The elevations at which Kona coffee is grown (up to ~3000 feet) give the coffee a very mild taste. Lots of rain, regularly. Of course, it shouldn’t rain so much that the sun can’t come out anymore because coffee plants also really like the sun. Good soil drainage. Coffee plants don’t like to have their roots standing in the water. All environmental conditions come together on the slopes of these Mauna Loa and Hualalai volcanoes. The fertile porous and mineral-rich volcanic soil and the climate with of sunny mornings, cloud or rain in the afternoon, little wind and mild nights make Kona Coffee a world-renowned (and also one of the most expensive kinds of) coffee. Rating and reviewing coffee is a complicated and subjective task. For example, coffee beans keep changing, and the method of preparation also has a large influence on the end product. We use the ratings provided by coffee review, who provides 100-point scores based on descriptive categories such as aroma, acidity, body, flavor, and aftertaste, for many of the world’s coffees. For the year of 2016, the coffee from Puna by Paradise Roasters gets a 96/100, which makes it one of the highest scores given out by the website. The ‘Top 30 of 2016” list also lists two other coffees from Hawai’i, both made by Hula Daddy Kona Coffee. 3: Why is Kona coffee so expensive? Hawaiian coffee is relatively expensive compared to other coffees. The main reason for this is the cost of labor: Coffee picking is a very labor intensive process, and a farm worker in Hawai’i gets paid a lot more than a farmer in Guatemala or Ethiopia (which is a good reminder to buy fair-trade coffee when you can). As this coffee farmer from the Big Island explains, getting the beans of the trees alone costs $8 / lb. Add to that other farming costs such as land use, fertilizers, and maintenance, and you can easily end up with costs around $14 / lb. That price doesn’t include his labor, marketing, electrical / gas for roasting, bags, a website, taxes, the farm mortgage, etc. When you add all things up, prices for 100% Kona Coffee average between $45 / lb. and $60 / lb. This means that if coffee of similar quality would be grown in a country with lower wages, you would be able to buy the beans for less. However, given the high demand and excellent reputation of Kona Coffee, it is safe to say that despite the high price, the quality is worth the price! Kona coffee makes up about 95% of all coffee being grown on the Big Island. The other 5% is mostly made up of beans grown in Ka’u, Puna and along the Hamakua coast. There is even some coffee industry on the other Hawaiian islands. Each of these coffees has their own unique taste. Which coffee you will like most depends a lot on personal preference much like with beers and wines. The following coffees do not have the rich history, outstanding marketing, or good public relations, as Kona coffee has. This means they are not as well know and thus (much) more affordable. Especially if you are planning to take some Hawaiian coffee home as a gift, consider getting some of these coffees. You can typically find these beans at farmers markets (in Kona, Volcano, Waimea or Hilo), in local retail stores, or online. Ka’u coffee has a floral bouquet, a distinctive aroma, and a very smooth taste, and is an ‘up and coming’ coffee on Hawaii. For the last years, Ka’u Coffee gained top ten placing in tasting competitions at the world’s largest coffee gathering: the Specialty Coffee Association of America Convention. If you are curious about these Hawaiian beans but not on the islands, you can also order them online for example at the websites of the Kau Coffee Mill and the Silver Cloud coffee farm. 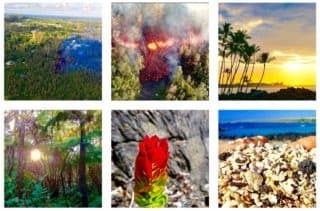 There is even a special Ka’u coffee festival in the Big Island organized every may. You can find the exact date and an event calendar at the event website. Coffee and the Puna district are no strangers to each other. In the mid-1800’s, there were 6000 acres of coffee being grown in the Puna district. With the rise of sugar cane the coffee disappeared from Puna, but now coffee is on the rise again. Currently, there are more than 125 acres where coffee is grown in Puna. Puna coffee is an outstanding coffee with a full body, heavy, with nutty overtones, taste. It is reminiscent of some finer moccas when roasted to a medium. You can buy this coffee for example at the web shop of Sharky’s coffee or the Hilo Coffee Mill if you are not on the Big Island but would like to taste these delicious Hawaiian beans. The Hamakua coast is known for its rolling hills and incredible scenic drives. The tropical slopes of the Mauna Loa volcano used to be sugar cane country but now, slowly, is transforming into coffee country. Most coffee farms on the Hamakua coast are small (on average 5-7 acres) and the berries are hand picked. Hamakua coffee is said to have a rich flavor with a chocolaty-smooth finish (but you are going to have to check this for yourself). 5: What is Peaberry coffee? When shopping around for coffee you will sometimes see the mention of peaberry beans. These beans are more expensive than the ‘normal’ coffee beans and taste better according to the experts. Why so? Well, to start, a peaberry is a “double” coffee bean. Normally coffee beans grow two to a fruit. These two beans compete for space and flatten out in the middle, much like the two halves of a peanut. In about 5% of all coffee beans only one of the two seeds in the bean is fertilized. When this happens this one seed can grow in the whole fruit, and it develops into a larger, rounder bean. These peaberry beans roast differently from the ‘normal” coffee beans and are therefore separated before the roasting process. According to coffee folklore peaberry beans taste better because of their higher bean density which improves heat transfer in the roasting process. They are also said to roast more evenly because their rounder shape minimizes sharp edges and allows the berries to roll about the roasting chamber more easily. Only coffee grown on the slopes of the Hualalai and Mauna Loa volcanoes in the north and south Kona districts can be called “Kona coffee”. This coffee then is either sold in blends that carry only 10% Kona beans, or in more expensive ‘100% Kona Coffee’ packs. The “Kona Blends” that carry only 10% Kona beans fit better into the average budget, but they are not the real deal. 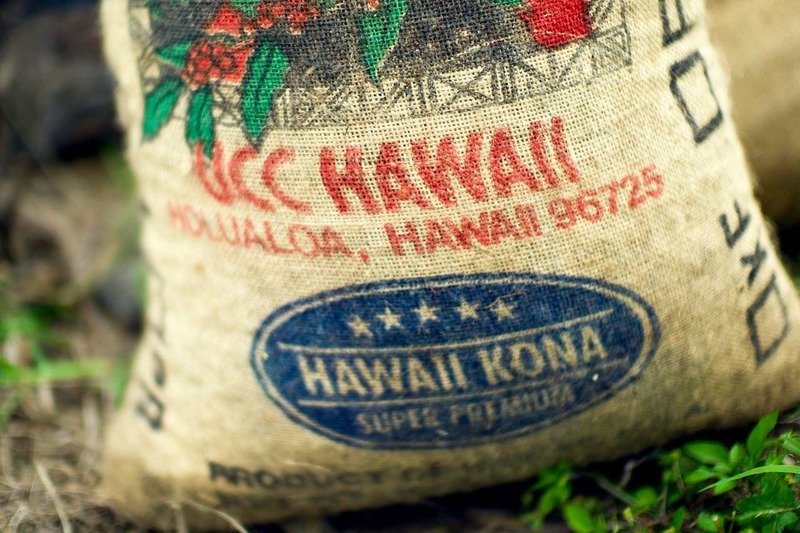 If you want to take home Kona coffee it is worth the splurge to go for the 100% Kona Coffee. You can buy your own Kona coffee beans at the local coffee plantations or in supermarkets around the Big Island. Be aware that some retailers sell “Kona Blends”. These blends contain a minimum of 10% Kona coffee and are cheaper than 100% Kona coffee, but obviously not the real thing and by far not as tasty. Due to sometimes confusing (some say bordering on misleading) marketing techniques it is easy for the casual customer to mistake the blend for the real deal. Current Hawaiian law requires blends to state the percentage of Kona coffee on the label, and you can recognize “the real deal’ by the words “100% Kona Coffee” printed on the label. So be sure to stop a moment and carefully read the packaging before you buy your Kona coffee to avoid disappointments at home. Kona Roast: is not a protected term and can be made from any kind of coffee bean. Most likely contains 0% Kona coffee. Kona Style: same as the Kona Roast, probably has nothing to do with Kona coffee if no explicit mention (10% or 100% Kona coffee) is made on the package. Kona Blend: is by law required to contain at least 10% Kona coffee. 100% Kona Coffee: is the real deal. This coffee contains only Kona coffee beans. Since its inception in 1970, the Kona Coffee Cultural Festival has sought to preserve, perpetuate and promote Kona’s unique 200 (ish) year coffee heritage. With nearly 50 events over 10 days there is something for everyone, from coffee drinkers to connoisseurs to your complete family. Festival signature events include a Coffee & Art Stroll, Cupping Competition, Farm & Mill Tours, International Lantern Parade or explore Kona coffee country’s cafe’s, shopping and community with a self-guided driving tour brochure.